Robert Derwent Garth Forster (born 29 June 1957) is an Australian singer-songwriter, guitarist and music critic. In December 1977 he co-founded an indie rock group, The Go-Betweens, with fellow musician, Grant McLennan. In 1980 Lindy Morrison joined the group on drums and backing vocals and by 1981 Forster and Morrison were also lovers. In 1988, "Streets of Your Town", co-written by McLennan and Forster, became the band’s biggest chart hit in both Australia and the United Kingdom. The follow-up single, "Was There Anything I Could Do? ", was a No.&nbsp;16 hit on the Billboard Modern Rock Tracks chart in the United States. In December 1989, after recording six albums, The Go-Betweens disbanded. Forster and Morrison had separated as a couple earlier and Forster began his solo music career from 1990. Forster’s solo studio albums are Danger in the Past (1990), Calling from a Country Phone (1993), I Had a New York Girlfriend (1995), Warm Nights (1996), The Evangelist (2008) and Songs To Play (2015). 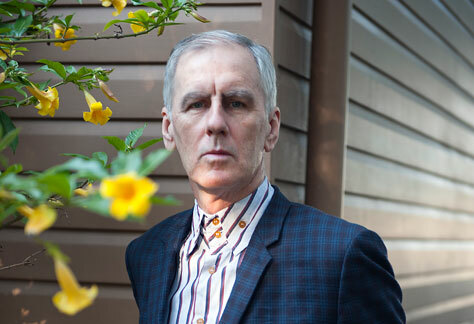 Allmusic’s Stewart Mason described him, as having "a knack for crafty pop songs along with the brooding ballads he contributed to the Go-Betweens’ albums, and his solo career has shown a healthy mix of the two styles". From 2000 to 2006, The Go-Betweens reformed and issued three more studio albums before Grant McLennan died on 6 May 2006, of a heart attack. In May 2001 "Cattle and Cane", from The Go-Between’s Before Hollywood (1983) was selected by Australasian Performing Right Association (APRA) as one of the Top 30 Australian songs of all time. In 2008, 16 Lovers Lane (1988) was highlighted on Special Broadcasting Service (SBS) TV’s The Great Australian Albums series as a classic example of 1980s rock music. Forster began writing as a music critic in 2005 for national current affairs magazine The Monthly and a columnist for its sister publication The Saturday Paper in 2014. For his debut solo album, Danger in the Past, Forster was backed on vocals by Karin Bäumler of German pop group, Baby You Know. In the early 1990s Forster and Bäumler were married, the couple have two children. This article uses material from the Wikipedia article “Robert Forster (musician)”, which is released under the Creative Commons Attribution-Share-Alike License 3.0.